Arrives in a pretty easily aroused velvet bag, chain not included. You can add a nice chain here. 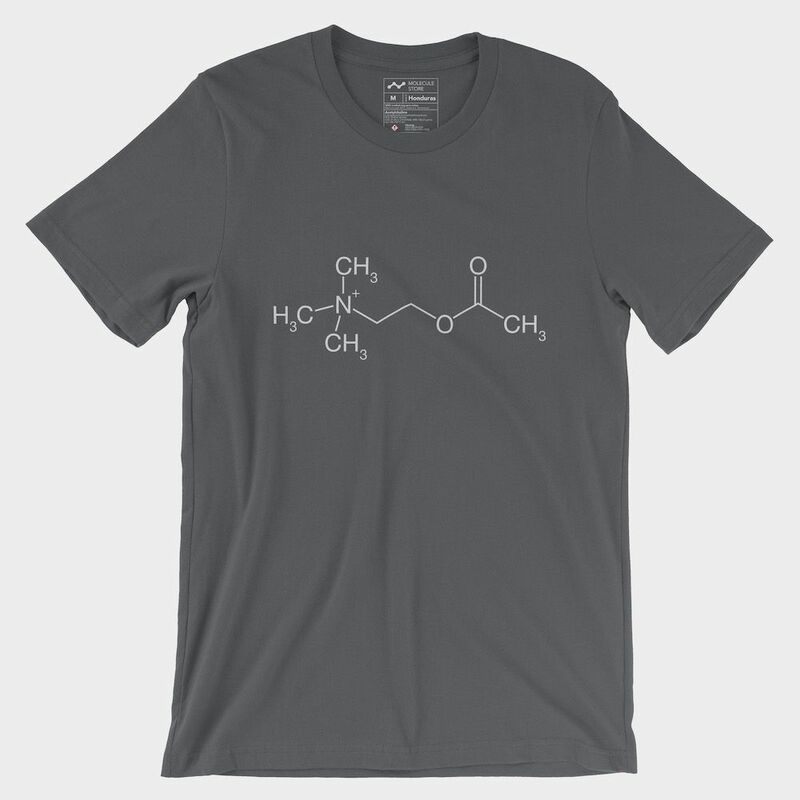 Acetylcholine is a neurotransmitter. 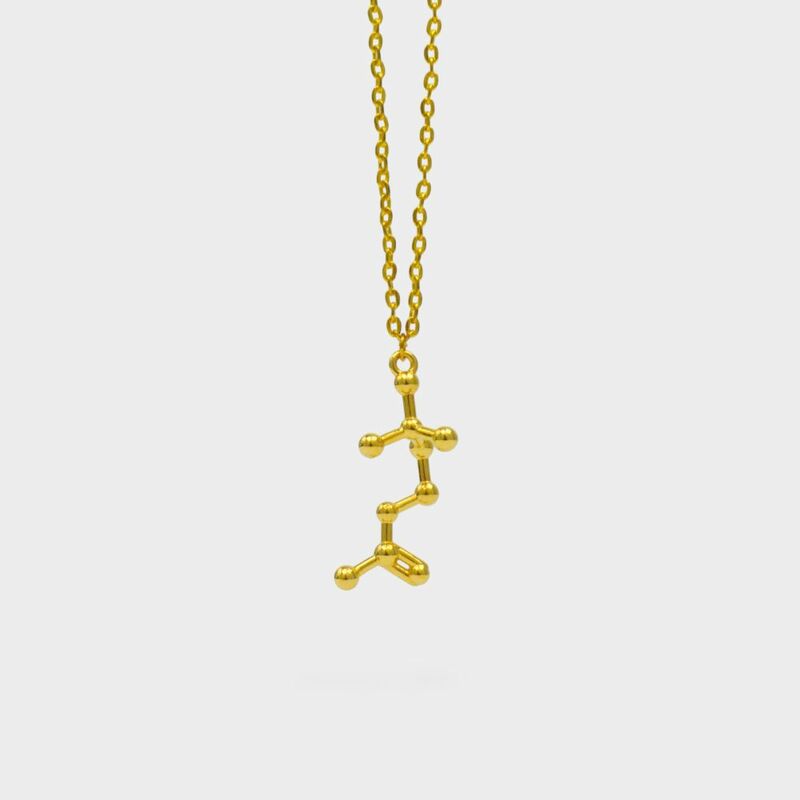 In vertebrates, it is the major transmitter at neuromuscular junctions, autonomic ganglia, parasympathetic effector junctions, a subset of sympathetic effector junctions, and at many sites in the central nervous system. The brain contains a number of cholinergic areas, each with distinct functions. They play an important role in arousal, attention, memory, and motivation. 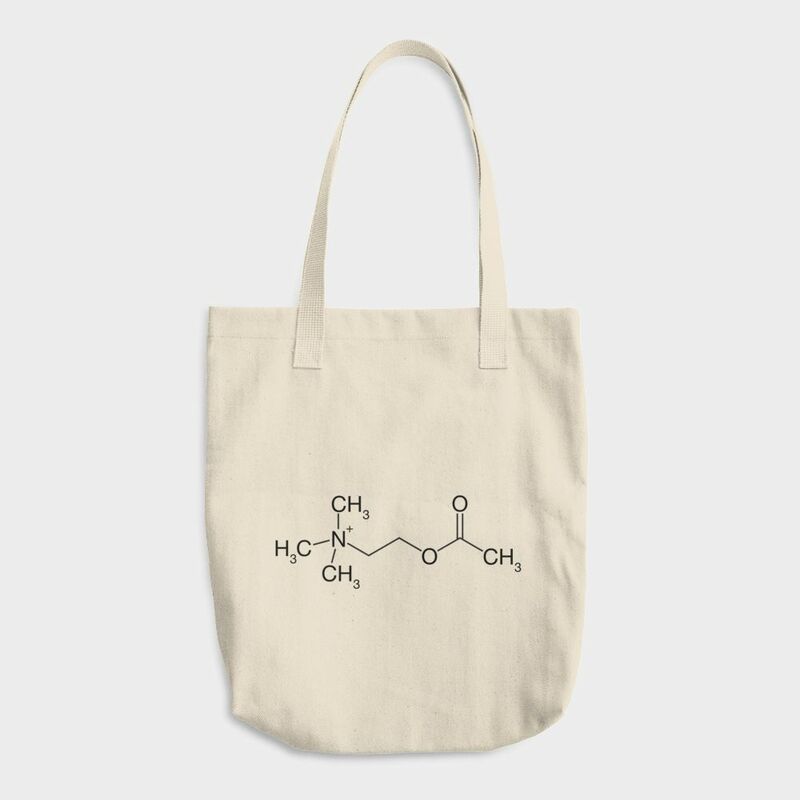 This acetylcholine molecule natural cotton tote bag is made and printed in America 🇺🇸. It will get your stuff from A to B (maybe even C or R). 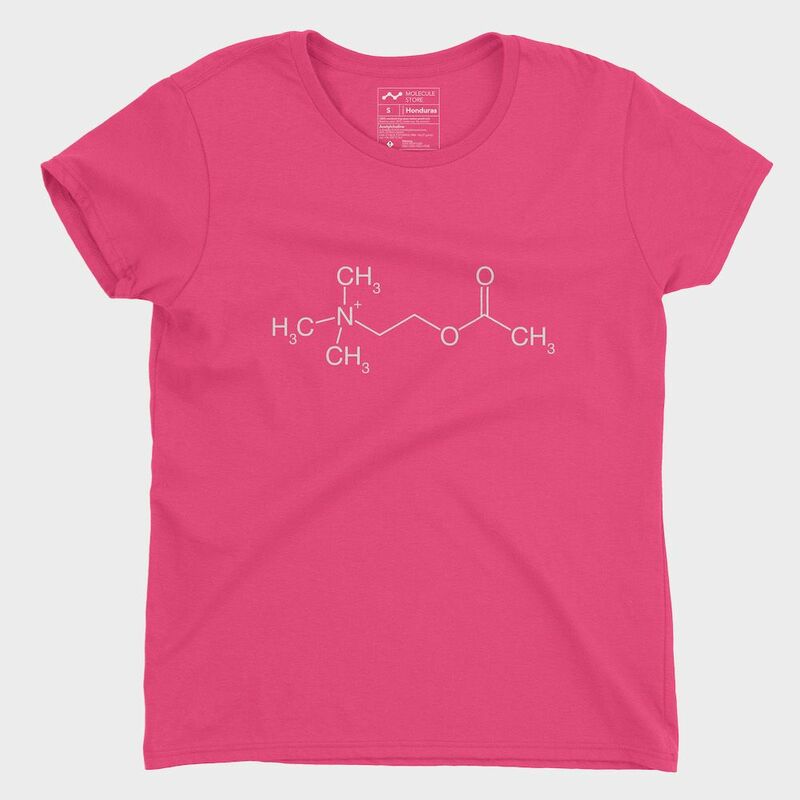 Acetylcholine (ACh) is a neurotransmitter. In vertebrates it is the major transmitter at neuromuscular junctions, autonomic ganglia, parasympathetic effector junctions, a subset of sympathetic effector junctions, and at many sites in the central nervous system. Printed in our factory in California + North Carolina USA 🇺🇸. 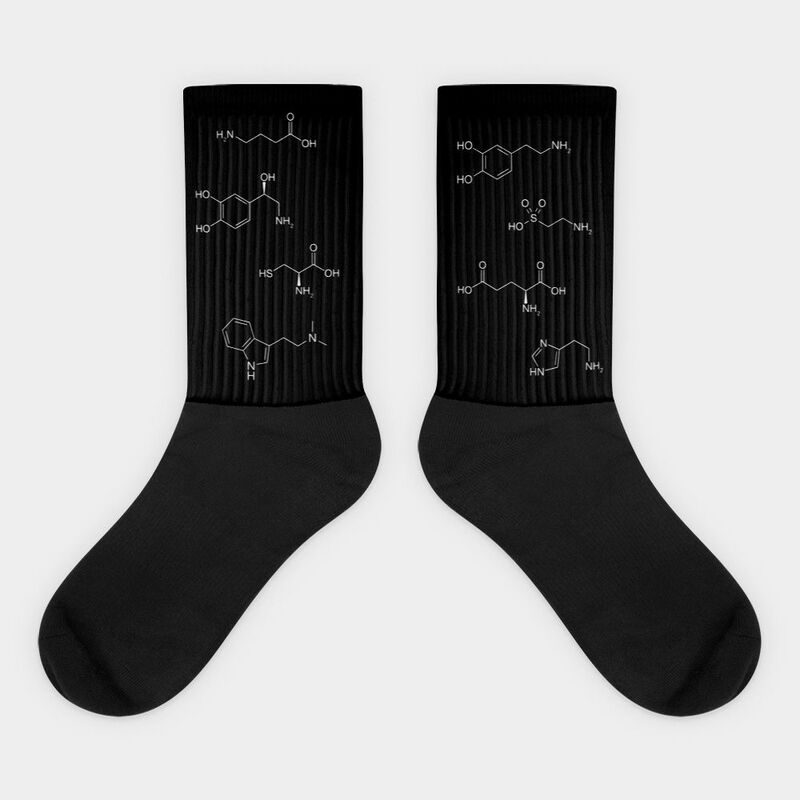 We have created a pair of socks so you can wear the most important neurotransmitters on your feet! Material: 60% nylon, 22% cotton, 18% spandex. You will get one pair of socks, with different molecules on each side! Sizing is in men’s (EU / US). Women’s conversions are M (8-10), L (10-14) and XL (14-17). Nicotine is a potent parasympathomimetic alkaloid found in the nightshade family of plants and a stimulant drug. It is a nicotinic acetylcholine receptor agonist. It is made in the roots and accumulates in the leaves of the plants. In smaller doses (an average cigarette yields about 1 mg of absorbed nicotine), the substance acts as a stimulant in mammals, while high amounts (50–100 mg) can be harmful. 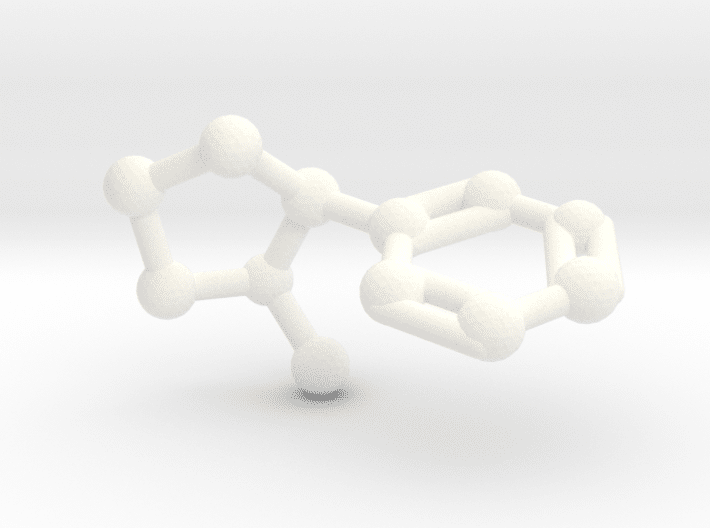 This stimulant effect is likely to be a major contributing factor to the dependence-forming properties of tobacco smoking, nicotine patches, nicotine gum, nicotine inhalers and liquid nicotine vaporizers. 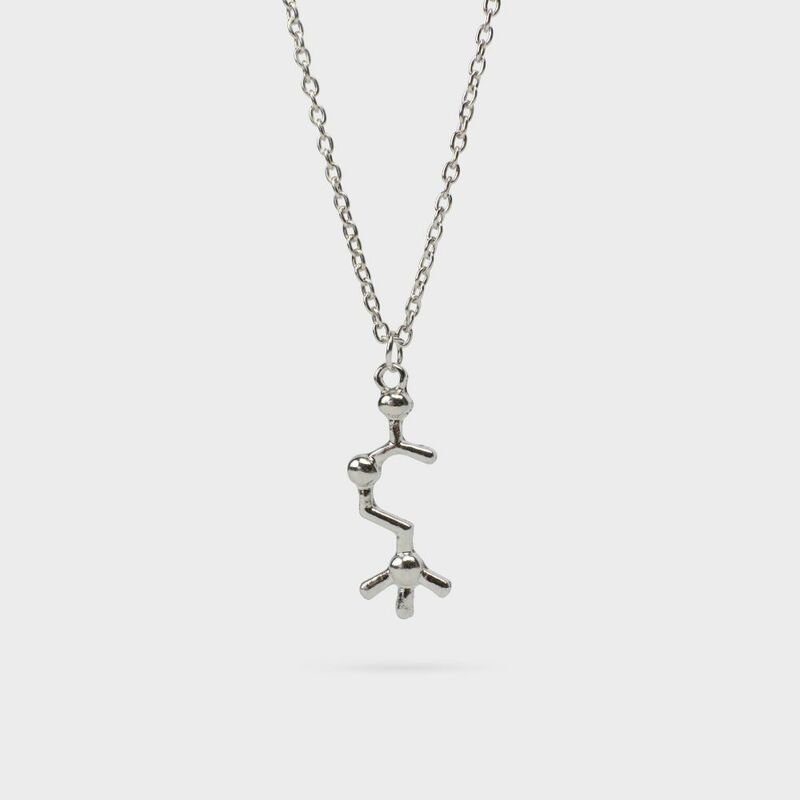 Comes without the keychain ring. 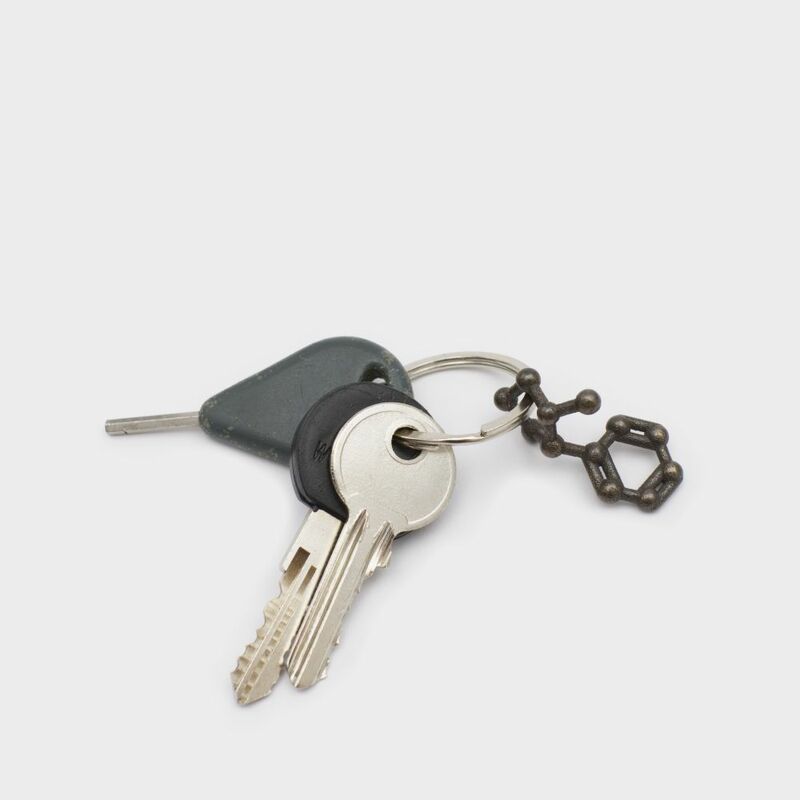 Find more information on where to buy keychains here. Makes a great desk toy, too!